Morrissey's childhood friend James Maker has slammed his forthcoming biopic 'England Is Mine' as "historical fiction". 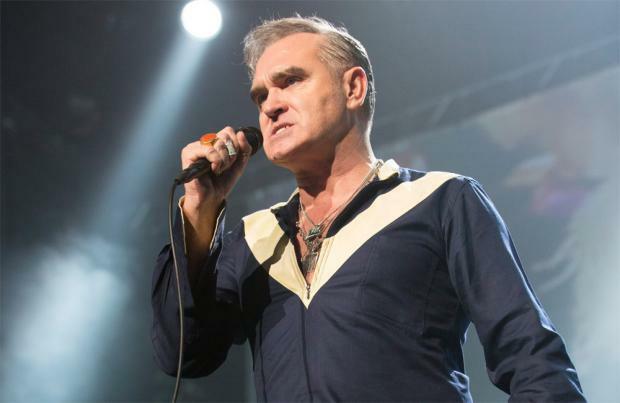 The 58-year-old rocker's early life will be explored in the upcoming movie but the star's old friend has blasted the project following the release of the trailer and said the description of Morrissey's upbringing is "rather insulting" and the film doesn't truly portray the star's character. Maker said in a lengthy post on Facebook: "According to the trailer of 'England Is Mine', Morrissey was an autistic, retiring creature with both curly hair and a natural crimp, who had to be physically pushed into becoming a singer by a well-meaning friend​ (one who did not actually communicate with Morrissey throughout The Smiths' success)​. "Worse, they have put him in a green duffle coat and given him not one line of the Morrissyean wit we have all come to know. It is not a biopic, but historical fiction. A strange move, considering that those formative years have been so abundantly well-documented." Maker - who penned penned a biography about his own formative years as a singer, lyricist, writer in the 1980s titled 'AutoFellatio' - said he was relieved not to be included. He went on: "if they can portray the protagonist as a person with crimped hair who relies upon guiding hands on shoulders, to thrust him through life's revolving doors, then I am merely someone who, miraculously, managed to venture​​ further than the 'NO BALL GAMES' sign posted adjacent to my bedroom window."